If you are looking for accountants in Covent Garden in the West end then you have come to the right place, with our offices in the central business district and a few minutes’ walk from Covent Garden train station. We understand how hard it can be to find a reliable local accountant who will offer the variety of services and needs that you as a person or business may require. From our base in Covent Garden in the West end, we provide our services to businesses and individuals. Among our services include general tax advice on the different packages we offer and assistance to help you meet any of your tax obligations before the deadline. 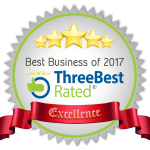 Unlike any other accountants in London, we have made a name for ourselves from our commitment to our clients, great skills and experience. We are known for always being ahead of the curve on any new developments in the accounting field including any changes in customs tax laws and HM revenue regulations and systems. Our accountants will provide all the information you need to stay on the right side of the law, and the expenses that will arise from the different tax regulations. When you decide to work with our firm, we will ensure that we accurately file your tax returns and self-assessment accurately and in time. Our company also have some of the best packages for your small business that include the filing of tax returns and getting your company accounts in order. We provide services to help file CT600 tax returns and accounts for HMRC and companies house. Our packages include everything from trial balances, bookkeeping, and preparation of final accounts to make sure that your business is compliant with all the tax regulations and laws in your jurisdiction. This ensures that all the information that you file is accurate for each task and that you get to enjoy allowable expenses that reduce your tax burden. With our services, you as a small business owner can save time for more important business activities as you will not have to do tedious bookkeeping tasks. As such, our accounting firm designs packages that will take care of your business affairs with caution and expertise borne of experience, while still having that personal touch. It is critical to understand the formation of a Limited company as a separate legal entity and the tax obligations that come with such a designation. As a sole trader, you have no restrictions on how you use the money the business makes as there is no distinction between the business and the owner. As a limited liability company, money can only be taken out of the business bank account as bonuses, PAYE income, dividend, or directors’ loans. The rules that govern the operation of a limited company and the tax obligations can become quite complicated, making it critical to engage the services of an accountant right from the start. The preparation and filing of self-assessment returns need not be an expensive or stressful affair. From our offices in West end. Working with us on your self-assessment returns means you get to enjoy hassle-free, affordable and cheap tax returns without having to leave Covent Garden. When you give us your business you can rest assured that your returns are being handled by professional tax experts. Our experts will answer any questions and provide advice on any queries you may have without any obligation on your part. The service comes free with our tax return package in Covent Garden and the entire London. Our professional tax accountants are always on hand to prepare and process your tax returns accurately and fast so that you never have to deal with any noncompliance penalties. Moreover, they will use their expertise and experience to review your filing so that you can get the maximum tax refund that you deserve. Additionally, they will also provide advice on personal tax return expenses that you can claim to reduce the amount of tax payable. If you run a business either as a self-employed individual or as a company director, you need to submit self-assessment tax returns. Getting simple advice on how to file accurate returns and on tax planning can go a long way in ensuring that the tax return filing process is as painless as it can be.